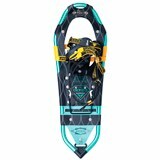 From beginners to outdoor veterans, the Atlas Montane snowshoe is a great all-around snowshoe for avid hikers. 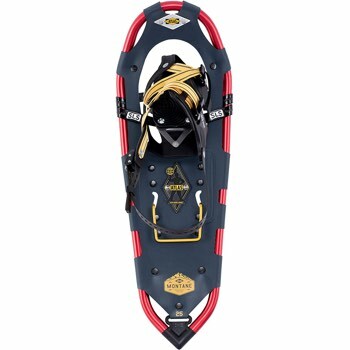 Spring-Loaded Suspension provides the classic Atlas maneuverability and underfoot ease, while allowing the deeper penetration of the All-Trac toe crampon. Tempered steel Traverse Trac rails add side-hill control to the heel cleats' traction. Forget about binding hassles with the easy webbing of the Wrapp Plus binding, and walk comfortably as the padded foam instep evenly spreads the holding power over the whole foot to eliminate pressure points. With the geometry of our proprietary 6061 aluminum V-frame, you'll feel content hiking all day long. 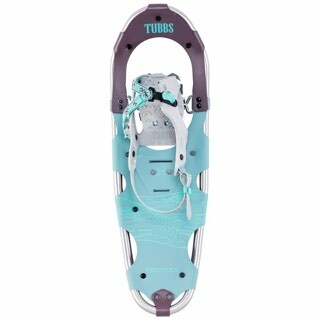 Wrap Swift binding is Specifically molded right and left bindings have supportive arches that cradle the inside of you feet for a comfortable and secure fit. 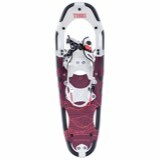 Bindings are form padded for increased comfort and warmth. 6061 aluminum V frame is made of 6061 aluminum is proven and durable, and Atlas's stiff proprietary V shape provides a smooth-feeling suspension. 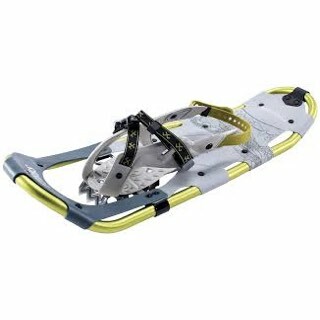 Stainless steel Holey-1 toe crampon is a 3D-formed design which allows lighter weight and structural strength. 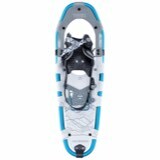 Stainless steel Aft traction brings Parallel traction rails under the sides of your feet - where you get the most control - provide increased traction while traversing. Nytex decking is Durable and flexible when cold.